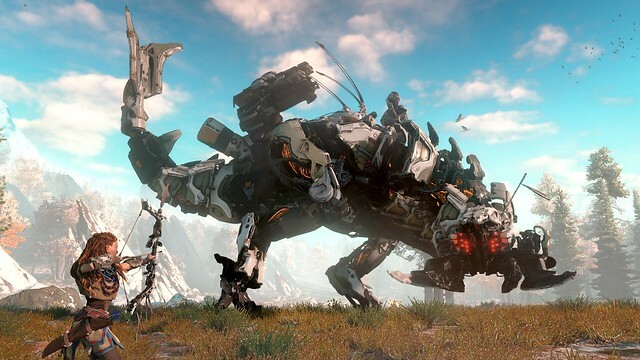 Horizon Zero Dawn is scheduled for a 2016 release, and we’ll have additional details for you in the coming months. Be sure to follow us on Twitter and like us on Facebook to stay up to date on the latest news! In the meantime, we’d love to hear your thoughts in the comments below. This games demo looked so good, you guys have something special here IMO. Props to you guys, I know I am very tired of Killzone games and this game looks awesome and a breath of fresh air. This is a day one for me! The game looked so fantastic. I really excited to see more. I liked it better when it had actual gameplay and it was called Enslaved. Oh right, I forgot that scripted events also counts as pure gameplay. This looks nothing like Enslaved. It VERY clearly resembles Enslaved, but that isn’t a bad thing. So far, it doesn’t seem terribly original, but with GG developing this game I believe it will be great. Saying that this game is like enslaved is like saying that Call of Duty is the same thing as Battlefield. Yes, they are both real-world FPS games, however they are totally different. As these two games are. Love it.. Love it.. Cant Wait.. Already had Batman… Uncharted and some others on my list…. but I just added this one to my wishlist. This looks like a great game. I loved that you guys showed ACTUAL gameplay footage instead of a pre-rendered announce trailer. The game looks amazing and I will be buying it Day 1! And YES for a badass female protagonist! Glad the team is finally branching out of Killzone. Seriously want this with a nice CE fig of the main character. Not taking anything away from all the other wonderful games coming out but this one truly blew my mind. I wanted to see something completly new and different and this definitely is what I was looking for… I can’t wait to play it. Doesn’t the main woman looks so much like Ygritte from Game of Thrones? lol, my wife and I thought the same thing. She also thinks that Rose Leslie is Aloy’s voice. I’ve not found out for certain but i’ve tweeted Guerrilla Games about it to find out. Can’t wait! Thanks Guerilla and Sony, hope the story is awesome! This is my most anticipated game of E3 so far. Tied with the Last Guardian! Best game shown at E3 !!!!! even when they showed The last gaurdian and FF7 remake this is my best of the show… I WANT this so much. This world reminds me of Enslaved: Odyssey to the West and that’s not a bad thing. Really looking forward to this. Even if The Last Guardian and FF VII were a big surprise and that more fun and crazy Uncharted 4 gameplay was seen, I think this game stole the show. It´s out of this world what Guerrilla did. Looks astonishing. Looks incredible. I may have had mixed feelings on Killzone after 3/4, but I am really glad to see the amazing talent at GG being able to start something new. Like all of your previous games, I will be there day 1. Can’t wait for more info and gameplay! So, this coming out this year right lol? 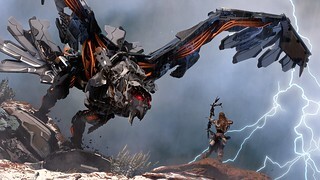 Horizon zero dawn is the coolest thing I have ever seen in my entire life! This looks amazing! So glad to finally see it revealed! My new most anticipated game, please let me throw my money at you guys! Looks awesome guys, exceeded my expectations of the rumors. Hey Guerrilla, I’d be most grateful if you guys would release a less compressed downloadable version of this like you did with Shadow Fall. Best game of E3 and that’s saying something. Well done. Also btw SONY. Can you please change the rating ??? How can this game got a 1.5 rating ??? can you like changed into like Facebook ? Where only Likes count, so the trolls and haters will finally stop trolling and go away, thanks. I thought, once I saw Last Guardian, that I knew what my game of the show was going to be. I was sure of it. But then this came… and this changed everything. This game is the best thing I’ve seen at E3 so far. Thank you for creating something so intriguing, and thank you even more for making it third person! How does this article only have 2 stars? I suspect shennanigans. I think this is the best game I’ve seen at E3 so far. Looks good, but please tone down the narration. It’s annoying as hell that Nathan Drake has to delivery commentary about every step he takes, so please don’t make that mistake with Horizon. I’m super excited to play this game. 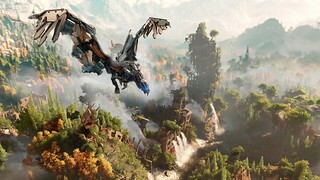 I think Guerrilla Games is a great studio, so seeing them do something other than Killzone is very exciting. This game will without a doubt look beautiful too! This game looks so amazing words just can’t….Please don’t screw this game up make it a amazing and beautiful as possible. Seems interesting to me but I would need to see more to really make a decision on this I know we still have a long time to decide. I am beyond pumped for this. Getting this game for sure, and I hope its co-op as well! I was waiting for this…finally it got officialy announced and with GAMEPLAY,boy am I glad I built excitement for it.Guerrilla does not disappoint,this is so different from KZ and yet you guys did everything great,thats true talent.I can’t wait to see more about it but this game is already a day 1 buy for me. You guys at gorilla games always blow the roof out when making a game..I don’t think you guys are human. I will be getting this game,..
PS THIS IS A RIDICULOUS QUESTION BUT IS THIS AN EXCLUSIVE PS4 GAME? OR NAH? Yes, it is exclusively for PS4. Clearly game of show by light years. I just can’t stop watching the demo over and over again. This is without a doubt the best game to come out of E3 this year, it shows such promise, I really hope the studio is able to deliver. Who the hell is giving this game 2 stars? wtf This is one of the best trailers at E3. I cannot wait for this game. This game won E3! My jaw hit the floor, when I saw the robot dinosaur! I rarely purchase a game on day one. This is going to be one of those few exceptions. 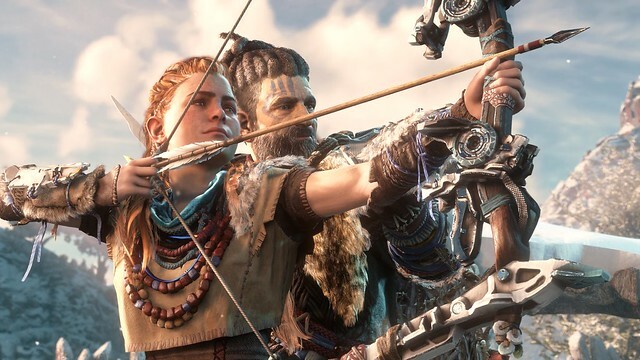 Aloy is such a badass! I can’t wait! Truth be told, this game is the dark horse that stole the show.